Are you remembering where you were when Princess Diana died? 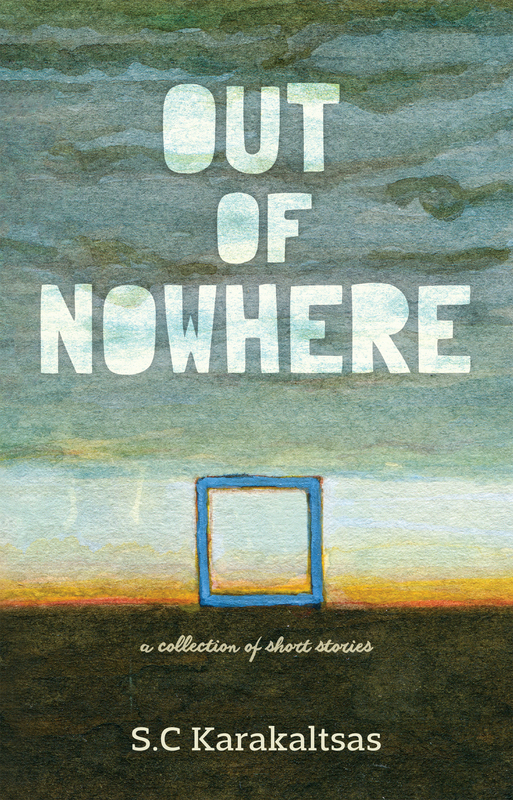 I thought I’d share a story below that I wrote for inclusion into my collection of short stories released earlier this year. I hope you enjoy it. It’s funny how we remember where we were and what we were doing during the big moments in our lives. The ones that are forever etched in our minds and dragged out at unexpected times. Like when Diana died in 1997. The morning after a wonderful overnight stay in the city, I arrived home to relieve my mother-in-law, Grace, of babysitting duties. The day was overcast and cool, not unusual for August in Melbourne. Twenty minutes later, Grace rang to say someone had broken into her home while she’d been staying at mine. With two kids in the car, I was on the freeway on my way to Grace’s house, when I heard the news for the first time on the radio. There’d been an accident and Diana was injured. The headline held me. I remember thinking, from the words the announcer used, that it wasn’t that bad. Arriving at Grace’s, my focus shifted to her. The house ransacked, a window broken and stuff strewn everywhere. Questioned by the kids, I grappled to explain to them what a burglary meant. Could it happen to us they asked? The rise and fall of their anxiety required all my energy to calm them, and my mother-in-law. Dealing with the police who were in autopilot – questions, writing, bland expressions reflecting a run of the mill problem – somehow steadied me. It wasn’t a big deal. I wanted to take Grace’s mind off the fact that someone had rifled through her draws, invaded her sanctity and peace of mind. But it unnerved us all. What if Grace had been home alone? With my own husband, Michael, away, what if this happened to me? My euphoria of partying from the night before completely disappeared. Then I remembered Diana. But Grace’s television had been stolen and I didn’t own a mobile phone. I wanted an update. News about her was better than what I had in front of me. “Make a list of everything that was stolen for the insurance company,” the well-built twenty-something policeman said. “Will the robber come back?” My nine-year-old daughter Sarah frowned with concern when she asked him. “Probably not,” he said kindly. Then to my mother-in-law, “They might revisit once you’ve replaced everything. They know what you have now.” Writing something on his clipboard, he missed the look of horror and fear across the faces of my mother-in-law and the kids. “Mummy, will the robber come to our house too?” my six-year-old daughter Lily whimpered. I scowled at the policeman imploring him not to educate us with statistics. But he was already on the move to examine the broken window. The other policeman who looked to be in his thirties smiled at me. Did he understand my stupid response? Did he have kids too? I glanced at the gleaming wedding ring on his finger – mine looked dull in comparison. “Oh, that window was already broken. A branch fell on it a few years ago and my husband was going to fix it but …” Grace choked on the words. I rushed to her side, put my arm around her and pulled her close. The tissues I’d stuffed in my pocket for my hay fever came in handy for both of us. “He passed away not long after the window broke,” I explained. I left Grace slumped on the couch dabbing her eyes with the twenty-something policeman sitting next to her. “Yes, thank you,” she sniffed. Filling the kettle, I watched the kids through the kitchen window. They were chasing a butterfly around the backyard. Their worry had been fleeting, while mine was still anchored. How will Grace feel about sleeping here tonight, all alone? Should I offer to stay until Michael gets back from his business trip? I’d dropped him at the airport this morning, before picking up the kids. I looked at my watch. He’d still be in the air. I’d have to wait at least until this evening before getting him at his hotel. I wondered if he’d heard about Diana before he boarded. I rummaged in the cupboards for the tin of biscuits. Lifting the lid, I released the aroma of dark chocolate and peppermint. Picking two, I took them outside. They ran to me, their arms outstretched, pretending to be airplanes. They swooped past, plucking the biscuit from my hand then ran to the back of the garden. “Where are the flowers?” I called out. “They’re coming, Mum,” Sarah replied. “We’re planes flying high in the sky to see where the best flowers are for Grandma’s table,” Lily explained, swooping by me again, bits of biscuit spilling from her full mouth. I tried the door to the garage and stepped inside. It was as it had been. The old curtain flapped from the chilled air squeezing through the splintered cracks of the grimy glass. Dust had settled thickly on the workbench and the scattered tools. A creeper had wound its way through a concrete roof tile and around a dark wooden beam. Cold seeped from the cracked concrete floor through to my thin shoes and into my feet. Dry, rust-brown splatters were still smeared on the sides of the bench, but the rest had been washed away from the floor. I sneezed twice to expel mildew. Nothing had been touched since my father-in-law had fallen here, the electric saw still going in his hand. I wondered if Grace had ever stepped foot in here since that day. Whether she had made peace with herself for having been only metres away in the house, while he lay here for hours. Dying. “Mum! Mum. Where are you?” Sarah voice pierced my ears. Shivering, I glanced around for one last time and spied the radio. Should I get a news update on Diana? But Sarah’s nagging call pulled me out and I closed the door behind me. “Yes, what is it?” The words came out sharper than I intended. “Can we have another biscuit? Please?” she pleaded. “Please? Mamma, please.” Lily’s occasional lisp hung in the air. Setting a plate with several biscuits I took two more outside before taking the tea into the lounge room. Grace looked lost in the big armchair. It was as if I was seeing her for the first time: her tired eyes peering through their dark circles as she took the steaming cup with shaking hands. I offered her and the policemen a biscuit, but I was the only taker. “It’s cold in here. Do you mind if I put the heater on?” I asked. Grace nodded but her attention was on the older policeman. This is not like falling off a bike where you have to get back on immediately, I thought. Was he a psychologist now? I was irritable. The plans for today had already been dashed, not that I could remember what else I was going to do, apart from clean the house. Still, what right did he have to give advice? And why was I angry at him instead of the burglar? Or Michael. He should be here dealing with this, not me. But all I did was nod agreeably and answer the door when the bell sounded. I stepped back onto the shoe of the older policeman who had crept up behind me. He showed Steve to the broken window while I joined Grace in the lounge. She nodded. We could hear the murmured voices of the three policemen. The room was growing warm from the wall heater’s blast. Grace’s face was flushed. “Why did this happen to me?” she whispered. Her grateful smile made me forget my own selfishness. The police eventually left and the clean-up started as, outside, the heavy clouds burst. The girls arranged the flowers on the table then sat down to draw a picture each to pin to the fridge. Sweeping the glass and the invasion away as best we could, I told Grace about Diana. She clasped a withered hand to her mouth. Tears sprouted and the emotion of the day spilled out. “That poor woman,” she said. “Hasn’t she had enough? I pray she’s alright.” Of course we both knew of Diana’s problems: her husband’s infidelity, her growing boys, the divorce, her work with children, the gossiped affairs. It was the soap opera of the nineties hitting the front pages of our papers, dominating the news and our lives, as if Diana were a part of it. Then Grace gasped from her bedroom – her grandmothers priceless diamond ring was gone. It had been earmarked for Sarah. An emerald and ruby engagement ring for Lily was also missing. I left the girls and went home. Flipping between radio stations to get news, all I got was inane music for the ten minutes it took to get home. Grabbing clothes for us all and a portable television, I jumped in the car. While I stopped to give way on the freeway on-ramp, a song by the Spice Girls was cut off with the announcement that Diana was dead. It was only the beep of a car horn behind me that made me move. I don’t remember the rest of the drive. I wiped the tears away as I walked through the front door and told Grace. The glazier arrived soon after. “Have you heard the news?” he said. Now, here I am, ten years later, with Grace in a home, Michael living with another woman and both daughters overseas. And all I can think of, as I see my own shattered kitchen window, is where I was the day Diana died. This entry was posted in Writing and tagged Princess Diana, short story, writing on August 31, 2017 by S.C. Karakaltsas. That story is a goodie!